Keith Edward Bullen was born at Auckland, New Zealand, on 29 June 1906. He attended schools in the Auckland area, completing his schooling at Auckland Grammar School in 1922, he earned recognition as a National Scholar, and was awarded the Eric Astley Prize for mathematics and science and a University Entrance Scholarship. From 1923 to 1925 he was a full-time student at Auckland University College and graduated BA in 1925, his major subjects being pure and applied mathematics. He was first in New Zealand in the final year examinations for the BA degree. In 1925 he became a master at Auckland Grammar School, but continued part-time studies at Auckland University College, being awarded the degree of MA with first class honours in mathematics at the end of 1927. In 1928 he became lecturer in mathematics at Auckland University College, but continued his studies for a BSc degree in physics at the University of New Zealand obtaining first class honours in that degree. In September 1931 he took leave from Auckland University College to study at St John's College, University of Cambridge, returning in 1934 to his post as lecturer and later senior lecturer in mathematics at Auckland University College. The work for his Cambridge PhD was completed while at Auckland. In 1940 he moved to Melbourne, Australia, as senior lecturer in mathematics. He was awarded a special MA degree by the University of Melbourne in 1945 shortly before he was appointed Professor of Applied Mathematics at the University of Sydney, serving in this post until his retirement in 1971. Bullen was awarded an honorary DSc by the University of Auckland in 1963 and another by the University of Sydney in 1976. After his retirement from Sydney he taught at the International Institute of Seismology and Earthquake Engineering in Tokyo and at the University of British Columbia. Bullen was awarded many medals and honours by societies in Australia and abroad, being elected a fellow of the Royal Society of London in 1949, a foreign associate of the US National Academy of Sciences in 1961, and pontifical academician in 1968. He was a foundation fellow of the Australian Academy of Science, a member of the Council of the Academy 1955-57, and Matthew Flinders Lecturer and Medallist in 1969. The William Bowie Medal of the American Geophysical Union was awarded Bullen in 1961, the Arthur Day Medal of the Geological Society of America in 1963, and the Gold Medal of the Royal Astronomical Society in 1974. Bullen went to St John's College, Cambridge in 1931, and as was customary at that time he began to read for the mathematical tripos. However, Bullen saw little chance of being able to stay at Cambridge for more than two years, nor of being able to return to Cambridge after he had gone back to New Zealand. He was, therefore, anxious to make a start in research while at Cambridge. After a month or two he became a research student, with Harold Jeffreys as his supervisor. Jeffreys was working on the revision of the travel time of the seismic waves from earthquakes and Bullen worked with Jeffreys on this project throughout his years in Cambridge. At that time the standard travel times used for the determination of the time of origin and of the location of the foci of earthquakes were those of Zoeppritz as modified by H. H. Turner. It was known that there were errors in these tables of as much as 20 seconds. The improvement of travel times is necessarily an iterative process for the earthquake is located using a set of travel times, the residuals from that set of travel times are then used to determine a second set of travel times; the earthquake is then relocated using the second set of travel times, and so on. Iterations of this kind are tedious and time consuming and were especially so in the days of mechanical calculators. It was on tasks such as these that Bullen spent his years in Cambridge. Jeffreys remarks of this period that 'Bullen's energy was phenomenal'. Bullen's first paper with Jeffreys was a Nature letter on the subject of the corrections to the travel times of P (compressional) waves from earthquakes. It was followed by two papers dealing with the method of calculation of distance in seismology. The Earth is an oblate spheroid, the polar and equatorial radii being 6356 and 6378 km respectively. In calculating the distance travelled by earthquake waves from a source to the observing station it is necessary to allow for the ellipticity of the Earth. It can be shown that the distance is more accurately determined if the positions of the source and the station are expressed in terms of geocentric latitude (the angle subtended at the centre of the Earth) rather than geographic latitude. This also facilitates model calculations which are carried out for the sphere of volume equal to that of the spheroid. This sphere has a radius of 6371.2 km. Travel time tables too are calculated for this sphere. T'he travel times on the spheroid differ from those on the sphere because of two other effects, the first due to the difference in the lengths of the ray path for the sphere and spheroid and the second because of the ellipticity of the surfaces of equal velocity within the spheroid. The use of geocentric instead of geographic latitudes results in differences in P travel times of the order of a few seconds and the two ellipticity effects mentioned to about 1 second. Both effects are therefore relatively minor. However in calculating the ellipticity corrections it was necessary to determine the variation of density with radius. It was in calculating the density distribution in the Earth as a step towards evaluating the relatively minor ellipticity correction that Bullen made the discovery which established his reputation and became, as he himself said in the preface to The Earth's Density, 'a developing story which has fascinated the author over much of his working life'. I will discuss the ellipticity correction and Bullen's papers on the density distribution within the Earth later in the article. Bullen returned to New Zealand about the end of 1934, but the collaboration with Jeffreys in the preparation of travel time tables continued until the Jeffreys-Bullen tables were published in 1940. Bullen also published separately an account of the work on the travel times of the phases which had been reflected at the surface of the Earth. The J-B travel time tables have stood the test of time remarkably well. Beginning about 1960 careful studies in which some systematic effects, for example regional variations in the travel times, have been eliminated have shown that the errors in the travel times from 30° to 100° arc distance are less than about 3 sec. Even now some of the systematic differences have not been satisfactorily determined and explained. At distances between 0° and 20° the observed times in continental shield or platform regions differ from the J-B times as much as 6 seconds. However, it is not yet possible to estimate with certainty how much correction to the J-B tables is required for the average Earth in the distance range 0° to 20°. Bullen's work on the density distribution within the Earth established him as one of the leading geophysicists of his era and led during the 1950s to his wielding considerable influence in international geophysics. The task of the committee has proved to be more complex than had been anticipated, partly for the reason that prima donnas performing simultaneously on different keys are slow to produce harmony, partly because of widespread failure to appreciate the difference between a standard and an optimum model. If he had lived to 1979 he would have been even more disappointed to know that the committee has not yet completed its labours. It is possible, but by no means certain, that finality will be achieved at the meetings of the committee at the General Assembly of the Union in Australia in December 1979. In 1946 Bullen pointed out in a letter to Nature that the incompressibility k was 6.5 x 10*12 dynes/cm*2 just above the mantle core boundary and 6.2 x 10*12 dynes/cm2 just below. He remarked, 'The suggestion therefore arises that at the very high pressures obtaining in the Earth's deep interior...the compressibility of a substance may be largely independent of its particular chemical constitution.' A no. of inferences based on this hypothesis were made, notably that it would follow 'with a high degree of probability that the inner part of the central core below a depth of 5000 km beneath the Earth's outer surface, is solid'. He pointed out that if this were so it might be possible to identify S waves through the inner core and introduced the notation PKJKP for these phases. So far PKJKP waves have not been identified with certainty. However, analysis of free oscillation data has confirmed this suggestion of Bullen's. In the letter to Nature, Bullen used the phrase 'largely independent of'. Later he wrote 'essentially independent of' and developed a model based upon the hypothesis that k and its derivative dk/dp 'may in the actual Earth change continuously across the core boundary'. This was the basis for the model known as model B. the density for which is given in Table 1. The hypothesis requires that there should be an abnormally large density gradient in the lowest 200 km of the Earth's mantle (Layer D") and in the Earth's inner core so that these two regions would not be chemically homogeneous. From 1949 Bullen wrote a no. of papers dealing with the constitution of the terrestrial planets. Both Ramsey and Bullen proposed, independently of each other and on different grounds, that the lower mantle material undergoes a phase transformation to a higher density metallic phase of the same chemical composition at the mantle-core boundary. Ramsey's case for this hypothesis rested on solid-state physics arguments whereas Bullen based his support on the fact that using model B it was possible to fit the observed facts not only for the Earth, but also for the other terrestrial planets. Perhaps I should apologize also for making considerable reference to my own work. I have done this because: first, in a subject rather difficult to expound in all its intricacies, I felt I could contrive the best coherence by basing many of the developments on my own approaches, at least in the first approximations; secondly, I would like this book to help correct numerous recent distortions of detail in my past writings (a phenomenon which of course by no means afflicts only myself in this era of scientist population explosion); thirdly, since the book may be my last major effort on the subject, I have sought to make the account of my work as unambiguous as possible. I hope these reasons will help to counter any suggestion that I regard my contributions are more significant than they really are. The book will probably be found rather more cautious in its attitude to uncertainties than are many current writings. There is a strong tendency for modern writers (including some notable contributors) in the Earth sciences to be unduly black and white in their pronouncements-rather over-ready to 'prove' and 'disprove' and to declare the 'beliefs' and misbeliefs' of themselves and others in contexts where cautious assessments in terms of probability would be wiser. (This tendency is not confined to the Earth sciences.) Here, I have striven to avoid words such as 'proof', 'true', 'false', 'right', 'wrong', 'valid', 'invalid' except in formal deductive arguments. In inductive arguments, I have sought to 'infer', not 'deduce'; I have been at pains to distinguish between 'mathematical models' and 'facts', not only with density distributions and the like, but also with (so-called) physical 'laws', and so on. Perhaps vainly, I cherish the hope that my pattern of writing may make a modest contribution towards improving the appreciation of some points of scientific inference that need to be specially heeded in geophysics. The paragraphs quoted reflect Bullen's attitude and philosophy remarkably well. He showed that he was aware of other points of view, he would examine them, he would on occasion modify his own point of view but only if the evidence for so doing was very strong (for example, by 1968 he had recognized that Birch's Murnaghan finite strain theory implied lesser differences in incompressibility as the pressure increased, and he no longer used the compressibility-pressure hypothesis in the narrow sense of the 1949 paper; until this stage was reached he pursued his own concept vigorously). Bullen's early work on the density distribution within the planets was centred on his compressibility-pressure hypothesis. However, beginning in 1973 he wrote a series of papers which modified a hypothesis of Sorotkin that the Earth's outer core consisted of Fe20. In Bullen's modification the smaller planets have cores consisting of Fe alone, the inter-mediate planets outer cores of Fe2O and inner cores of Fe, while the largest planets have cores of Fe2O alone. This hypothesis is of interest because quite recently Ringwood has suggested Fe2O as a possible constituent of the core, though not, as in Bullen's hypothesis, the major constituent. Observational evidence on the seismic velocity distributions in Mars may be forthcoming before too long, and, as with Venus, would assist very much in discriminating between various ideas on the internal structure. It seems desirable to await well-based evidence of this type rather than clutter up the literature with excessive complex speculation. The legions of speculative papers on properties of the Moon, later shown to be quite futile by evidence from artificial satellite observations, provide a salutary illustration. In 1954 there was a series of nuclear explosions at Bikini in the Marshall Islands. Father Burke-Gaffney of Riverview Observatory near Sydney noted that there were pulse-like arrivals on the Riverview records at times which might correspond to the arrival times of the seismic waves from the Bikini explosions. Together he and Bullen explored this possibility. In their first paper they noted that the arrivals from the four blasts were separated by whole numbers of minutes. They argued that this was unlikely unless the shots had been fired at some well defined time, for example, the beginning of the minute. They then showed that using an approximate location based on information in a Gutenberg paper about a 1946 explosion the P travel times at Riverview and other stations which had reported P arrivals in their bulletins were within a second or two of the J-B travel times. They noted another fact about the bulletin readings for these explosions. At three stations, Pretoria, Kimberley, and Tamanrasset, the PKP readings were all significantly early with respect to the DEF branch in Jeffreys notation (or PKIKP, the phase which had traversed the inner core). Bullen wrote to me and asked me whether the South African records had been misread. Clearly this was not the case. The early arrivals were real and there was a larger amplitude second arrival at about the time expected for PKIKP. Burke-Gaffney & Bullen interpreted these early arrivals as diffractions from the caustic on the BC branch at 142 degrees. Bolt, a student of Bullen at the time of the Burke-Gaffney & Bullen papers, pursued the question of the precursors for some years thereafter. Bolt concluded that the precursor observations could be explained by two successive jumps in velocity in the outer core between 100 and 200 km above the inner core. Other authors proposed even more complex models of the velocity distribution in the lowest 500 km of the outer core as is shown in Figure 12.1 of The Earth's Density. These complex models have been abandoned. The early precursors to PKIKP, first noted by Burke-Gaffney and Bullen, are now interpreted in terms of scattering at the core-mantle boundary, an explanation first suggested by Ray Haddon. The Bikini explosions occurred while Bullen was president of the International Association of Seismology and Physics of the Earth's Interior. He was greatly impressed by the potential of these large explosions for seismology and in 1955 wrote to the president of the Royal Society of London, and to the Academies of Science in Washington and Moscow proposing 'that for seismological and other experimental purposes one or more atom bombs be exploded during the International Geophysical Year'. He also devoted part of his presidential address to the International Association of Seismology and Physics of the Earth's Interior in 1957 to a plea that information on explosions should be announced timeously so that they could be used for scientific purposes. This plea had an immediate effect for before the meeting ended Bullen received a telegram from the chairman of the US Atomic Energy Commission announcing a forthcoming explosion. I think that most of us have met the type of mathematician who is so dazzled by the beauty of his mathematics that he applies it blindly to all and sundry without adequate analysis of the premises on which he bases his deductions, the type whose mind has been made over-rigid by pure mathematics! An important feature of applied mathematics is that it tends to correct this type of mind and, when well taught, to focus needed attention on the problem of initial premises. Although he gave an address at the inaugral meeting of the Australian Mathematical Society he never became a member of the society and confessed that he had some doubts whether 'it was wise to link applied mathematics with pure mathematics in this middle twentieth century'. However he did regard good training in basic mathematics as essential for the training of applied mathematicians, scientists, and engineers and devoted a good deal of his time to promoting the need for good teachers of mathematics and good training mathematics programmes in schools. As always with Bullen he made his point of view crystal clear. There should be no easy options in mathematics in schools. For a time too, he was Chief Examiner in mathematics for New South Wales. This was no small task to undertake while running a large department and actively engaged in research. Bullen wrote prolifically. There are 290 papers in his list of publications. The topics are diverse: apart from the many research papers there are scientific biographies, articles in encyclopedias and dictionaries of science, and articles on education, especially mathematical education. His first book, Introduction to the Theory of Seismology, was published by the Cambridge University Press in 1947 and has been a standard text for seismology ever since. The third edition was published in 1975 and Turkish, Chinese, and Russian translations were published in 1960, 1965, and 1965 respectively. Two other books closely related to his teaching at Sydney, Introduction to the Theory of Dynamics and Introduction to the Theory of Mechanics were published in 1948 and 1949. An eighth edition of the latter was published in 1971. His short monograph, Seismology, was published by Methuen in 1954. The International Institute of Seismology and Earthquake Engineering published his notes for a lecture course on theoretical seismology in 1972. His last book, The Earth's Density, was published in 1975; it covers a wider range of geophysics than its title would suggest because the problem of the Earth's density distribution is so intimately related to seismological information on the interior of the Earth. Surprisingly perhaps there is only one reference to the revolution in the Earth sciences over the past twenty years as a result of which continental drift is generally accepted, and this reference is a casual one in a brief paragraph about the expanding Earth hypothesis. In spite of the handicap of deafness Bullen played a very considerable role in international geophysics. He served as president of the International Association of Seismology and Physics of the Earth's Interior, as vice-president of the International Union of Geodesy and Geophysics, and as vice-president of the International Scientific Committee for Antarctic Research, and on a no. of committees concerned with seismology and geophysics. He was a very effective member of committees being always well informed on the papers and quietly persistent in discussion. In these activities I sometimes thought that he turned his deafness to advantage for, especially when in the chair, he appeared not to hear remarks which would have diverted discussion to what were, in his view, side issues. In Australian geophysics too he played a significant role, serving for five years as chairman of the Australian National Committee for the International Geophysical Year and also for five years as chairman of the Australian National Committee for Antarctic Research. At Sydney he taught courses in all the years of the undergraduate programme. In all his teaching he laid special emphasis on the importance of scientific method and the estimation of the reliability of data by statistical methods. 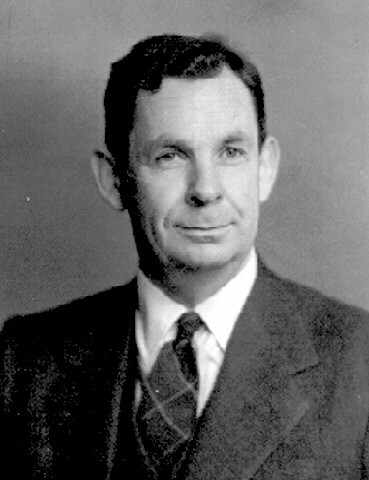 Bullen regarded his role in Sydney as one of training students in all branches of applied mathematics rather than the development of a geophysics school. In his twenty-five years at Sydney he had only two PhD students in geophysics. To some extent this was because he thought it was to the advantage of students to go abroad for specialized training after completing their undergraduate degrees. Many of the students who majored in applied mathematics at Sydney did in fact do so. Bullen's energy was, as Jeffreys remarked, phenomenal. This was true not only of his vocation, science, but also of his avocations. He was indefatigable as a tourist in his earlier days and later as a coin collector. After long days at scientific meetings, or on committees, he would spend many hours seeking out coin shops or other coin collectors. He was always kind and courteous at meetings and ever willing to talk to the scientists, young and old, who wished to take advantage of his wide knowledge of seismology and scientific method. Bullen married Florence Mary Pressley (known as Mary) in Auckland in 1935 and they had two children, John born in Auckland in 1936, and Anne born in Melbourne in 1943. Anton Linder Hales was Director of the Bernard Price Institute of Geophysical Research University of the Witwatersrand from 1954 to 1962, Head of the Geoscience Division at the Southwest Center for Advanced Studies (later the University of Texas at Dallas) 1962-1973, and Director of the Research School of Earth Sciences, Australian National University, 1973-1978. He was elected to the Academy in 1976. This memoir was originally published in Records of the Australian Academy of Science, vol. 4, no. 2, Canberra, Australia, 1979.